If you are a medical marijuana grower, processor, dispensary owner, or a patient prescribed medical marijuana in Oklahoma, you likely agree that cannabis testing policies are needed to ensure that the product is safe, effective, and free of contaminants. Other states where cannabis use is legal—for its medicinal value and also for responsible adult usage—require that cannabis and cannabis products be tested for potency and contaminants to protect consumers’ health and safety. But the scientific underpinnings of cannabis testing continue to evolve, and no laboratory standards have existed long enough to be referenced as best practices. Additionally, there are no federal or international testing standards available, and no readily recognizable experts to guide states new to this business. Indeed, Oklahoma’s SQ 788 and the Board of Health’s Emergency Rules for SQ 788 (7/31/18) with Additional Approved Revisions (8/1/18) do not address laboratory testing, packaging, and labeling requirements. It is against this backdrop that Oklahoma Legislature’s Medical Marijuana Working Group recently submitted certain laboratory testing recommendations to the Board of Health, in hopes that the Board will set minimum standards for usable medical marijuana grown, processed, and dispensed in the state. Why? It is a matter of public policy—to protect Oklahoma consumers and businesses. The state’s growing medical marijuana industry, where my clients are trailblazers, will flourish in an atmosphere of safe, effective, legally compliant product. Anything less will spawn lawsuits, and there are already plenty of those. labeling and record keeping requirements for growers and processors. When? On May 15, 2019, Oklahoma’s minimum testing standards will become effective if implemented by the Board of Health or enacted by the Legislature. Until then, Oklahoma’s medical marijuana community must be proactive in safeguarding Oklahoma’s medical marijuana patients. It would be wise and ultimately cost effective to test your own product or retain an existing lab to do so. Document the test results and keep detailed records. This establishes you as a credible supplier of safe product and protects you from potential tainted product claims that cannot be traced to a specific source. 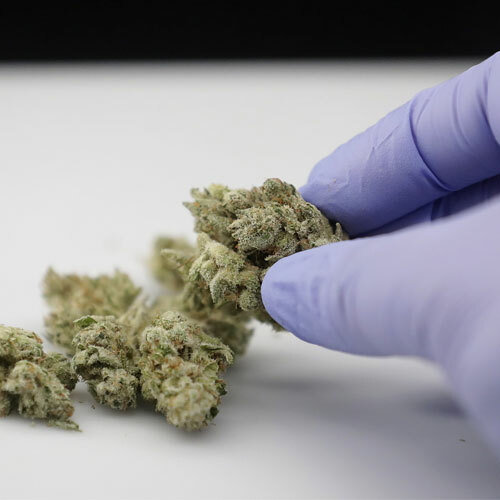 While Oklahoma’s medical marijuana testing policies will likely evolve as the industry grows, the overall goal will remain the same: to provide safe product to patients who benefit from the medicinal value of marijuana.